Jeri’s Organizing & Decluttering News: What About Those Warranty Cards? You've gotten a new gizmo, and of course it came with a warranty card for you to return. And of course that card asks about your family income and much, much more. Do you send in the card? Throw it away? Keep it in a pile of paper where it will be re-discovered 10 years from now? Here are things to consider when deciding how to handle that card. Note that this information applies to the U.S. only; if anyone has information about the rest of the world, please add a comment! There are two reasons you might return a warranty card. 1. You believe the card must be returned for the warranty to be valid. Do you need to return the card for the warranty to take effect? I am not a lawyer, but the answer appears to be "it depends." Limited warranties may require you to return the card; in that case, the manufacturer must state that it's a condition of the warranty. But California law says this: Product warranty cards must clearly state that the consumer is not required to return the card for the warranty to take effect. 2. You want to be notified in case of a recall. A second carrot held out by manufacturers is the possibility that customers who fill out the cards will be contacted if a product is recalled. ''But that's usually not the case,'' said Todd Marks, a senior editor at Consumer Reports magazine who tracks recalls. He has found that only automakers and makers of children's products consistently make good on that promise. Rather than relying on notifications based on warranty cards, you can choose to get recall information from www.recalls.gov, as suggested by Consumer Reports. And what are the reasons for not returning the card? - Equifax Marketing Services will be glad to help manufacturers set up their warranty card program. 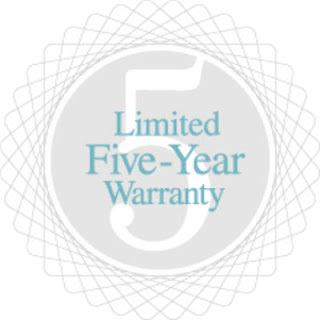 - Warranty It is a list marketers can buy; it "captures conscientious consumers who have recently registered their new product with the manufacturer by filling out a warranty card within weeks of its purchase." It is specifically recommended for "a variety of product, catalog, financial and insurance offers." And if you don't return the card, you can just file it away (along with the receipt) if there's a chance you'll want to make a warranty claim in the future. EXCELLENT advice as always!!! I never send in the warranty cards and as you mention I keep them with the manual. This came in handy once with an expensive purchase. We had not sent it in, but when we called for service, all we had to do was pull out the card and give hime the unique number on it and we got the part we needed for free! Thanks, Ariane. I never sent in the cards, either; I was pretty sure that was OK, but now I'm totally confident that it's fine. Of course, since I live in California, I've got it easy. No chance that warranty won't be valid!